Chinese smartphone brands are no longer copycats… and Vivo is a great example. The brand took the world by surprise last year when it introduced the APEX concept smartphone, which offered a pop-up selfie camera in a bid to deliver a higher screen-to-body ratio. 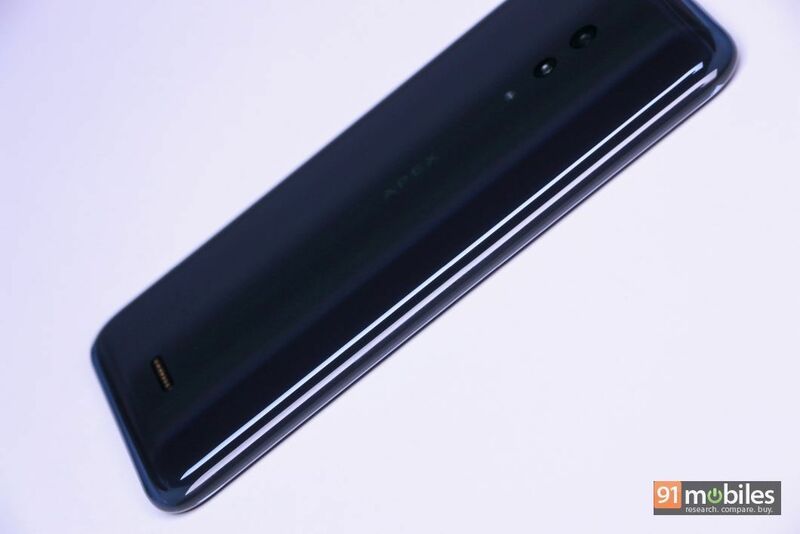 And shutting the mouths of naysayers, Vivo actually went ahead and launched it commercially in the form of the Vivo NEX (review). However, the company isn’t sitting on its laurels. 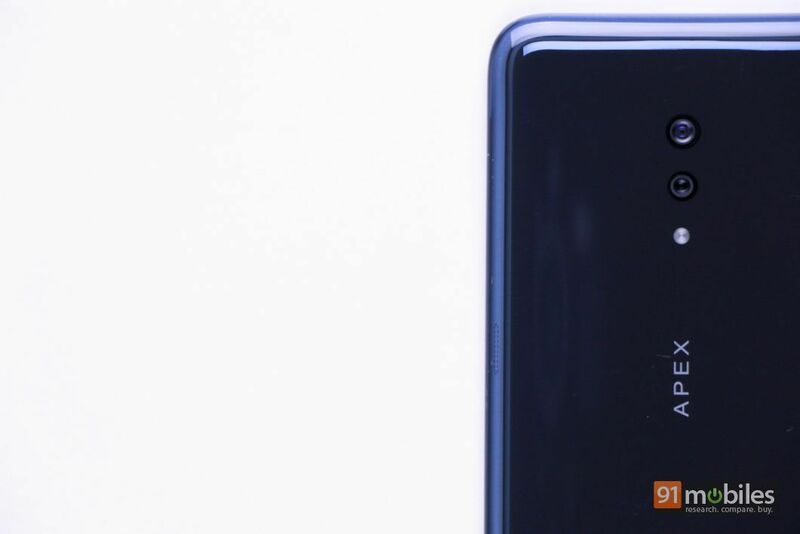 Towards the end of 2018, it presented a bold concept smartphone with no ports and buttons. The APEX 2019 suggests that the phonemaker is pushing the boundaries to envision what the phone of the future could look like. While the device won’t be launched commercially, I was quite excited to check it out. And here’s how I’ll sum up my experience with the Vivo APEX 2019. Let’s get the specs out of the way – the APEX 2019 comes with flagship-grade hardware. So you know what to expect… Qualcomm’s 7nm Snapdragon 855 chipset, up to 12GB RAM, up to 512GB of non-expandable memory, and so on. Considering this is just a concept phone for now, it’s understandable that the smartphone isn’t fully optimised, so I won’t be discussing about the occasional app crashes or system freezes. 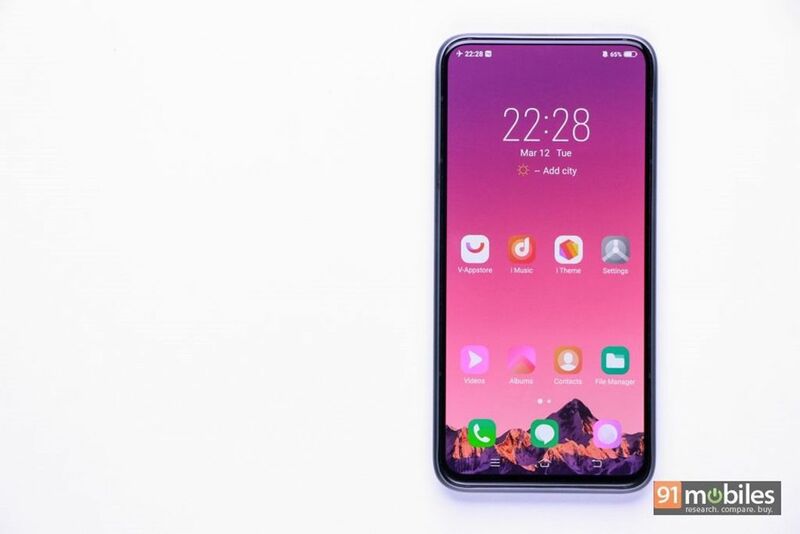 What I’ll discuss however, is how the Vivo APEX 2019 looks and feels in the hand. To be completely honest, seeing a smartphone made out of a single slab of glass is quite impressive – there’s not even a single cavity. The handset is quite clearly an engineering feat. And the fact that I actually got to try out such a device is a feeling that’s difficult to explain in words. Having said that, the smartphone is quite slippery and catches fingerprints and smudges easily. The image gallery, embedded below, should give you a better idea of what I’m trying to convey. But I’m sure, you must have a zillion questions. How does one wake up the screen? How can the volume be adjusted? How would the device charge and so on? Well, the Vivo APEX 2019 has pressure-sensitive keys to awaken the display and change the volume. The placement takes some time getting used to, and since there’s no physical button to press, it’s a matter of change of habit to press and wait for the vibration to get the feedback. The keys work quite well. If you thought the smartphone would charge wirelessly since there’s no charging socket, then you are wrong. For some strange reason, the brand has opted for magnetic charging. 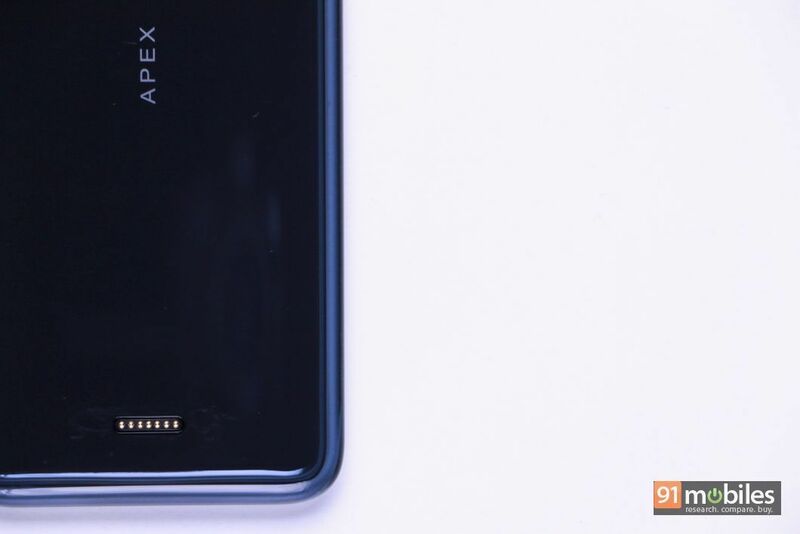 The APEX 2019 has pins at the back that attach magnetically to a proprietary charger. 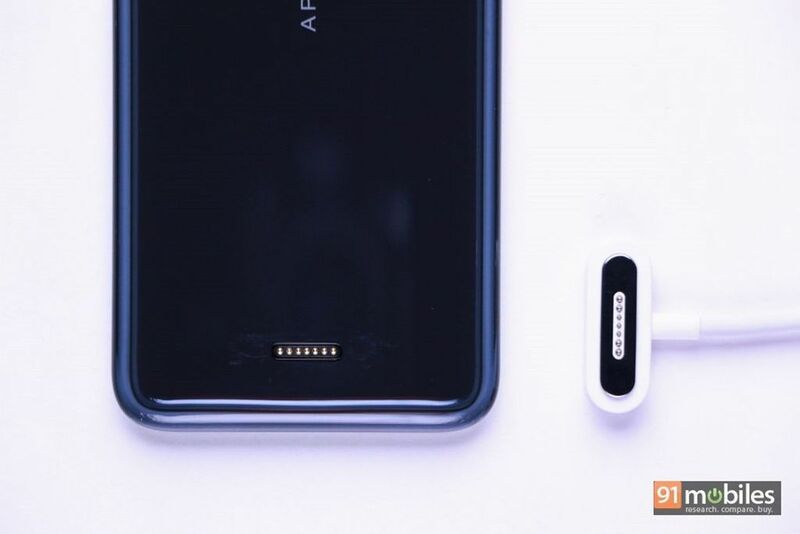 Interestingly enough, you’ll be able to transfer data using the same method, since the charging cable has a regular USB connector at one end that can be plugged into a computer. 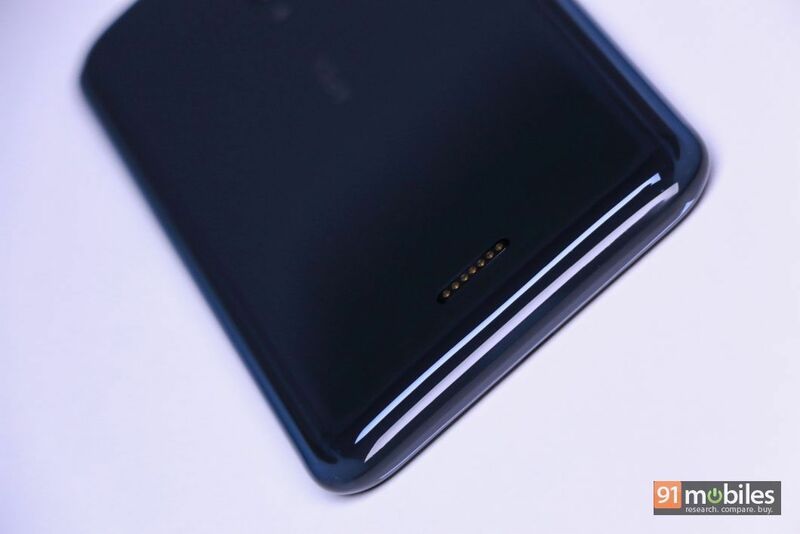 While it is a neat idea, I think wireless charging would have been a better option, considering the feature has now started to become mainstream. 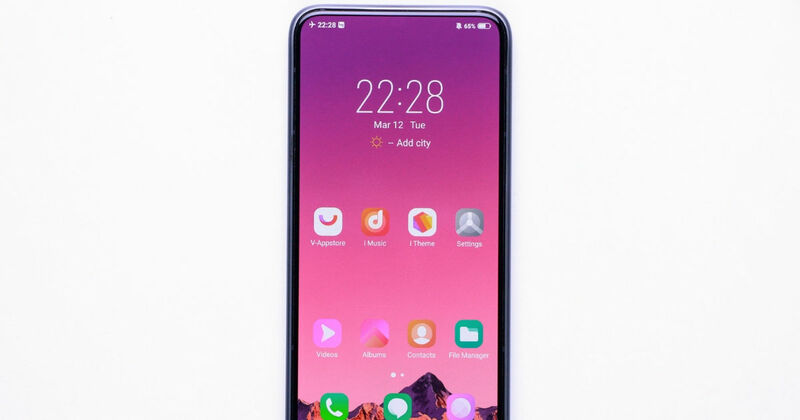 The Vivo APEX 2019’s window to the world is a 6.39-inch display, which bears full HD+ resolution. With razor-thin bezels on three sides, and extremely slim bezels on the bottom, the screen offers an immersive viewing experience. The viewing angles and brightness levels are also spot on. 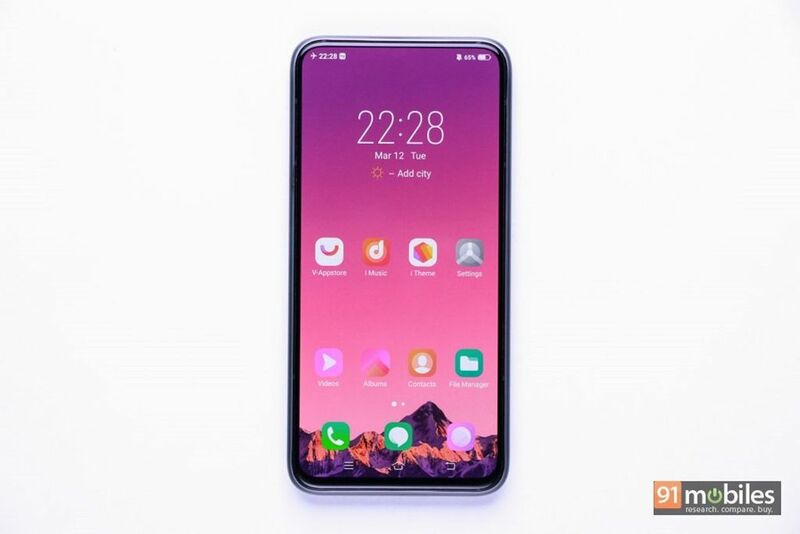 However, to achieve such high screen-to-body ratio, the smartphone has given the front camera a miss – which means, if and when such a form factor becomes available commercially, the brand will need to figure out where to place the selfie snapper. And that does seem like a tough task given that even using a pop-up camera mechanism might affect the phone’s mainstay – its unibody, cavity-less construction. Vivo pioneered the under-display fingerprint scanner on smartphones. And the APEX 2019 takes that to its logical extreme. Instead of having a designated area for an optical fingerprint reader, the entire screen can register your fingerprints. While it might seem like a gimmick, it works really well. It still may not be as fast as a conventional fingerprint scanner, but the fact that you can unlock the phone by placing your finger anywhere on the screen is really marvellous. Furthermore, this enables some interesting options, such as the ability to unlock the phone with two fingers simultaneously. 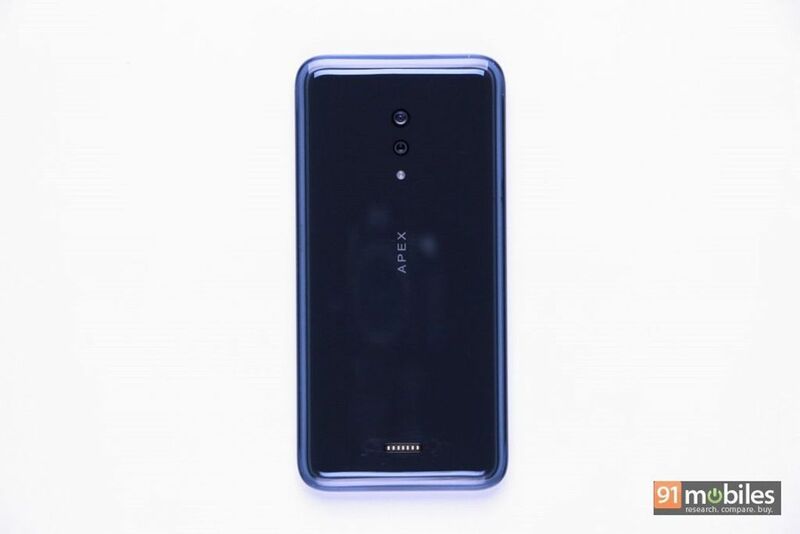 Coming to the cameras, the APEX 2019 sports 12-megapixel and 13-megapixel snappers on the rear. Since the Android 9 Pie-based FunTouch OS wasn’t fully baked, the camera app crashed on me quite a few times. In fact, there were times when the captured image didn’t even appear in the gallery. As I mentioned earlier though, this is a concept phone and one can’t hold software issues against it. Powering the show is a 4,100mAh battery. 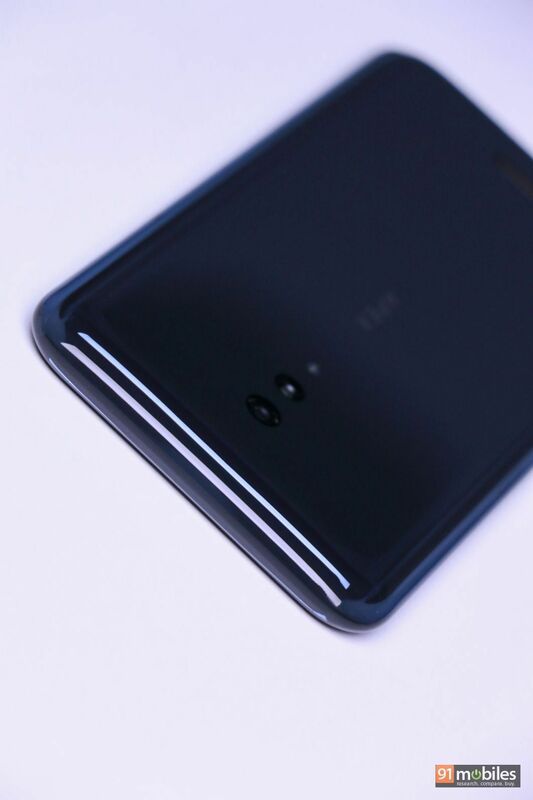 I remember back in 2016, we at 91mobiles thought of a concept smartphone without any ports. At the time, we thought something like this would come bearing Samsung branding, but it’s amazing to see Vivo pushing the envelope in this direction. 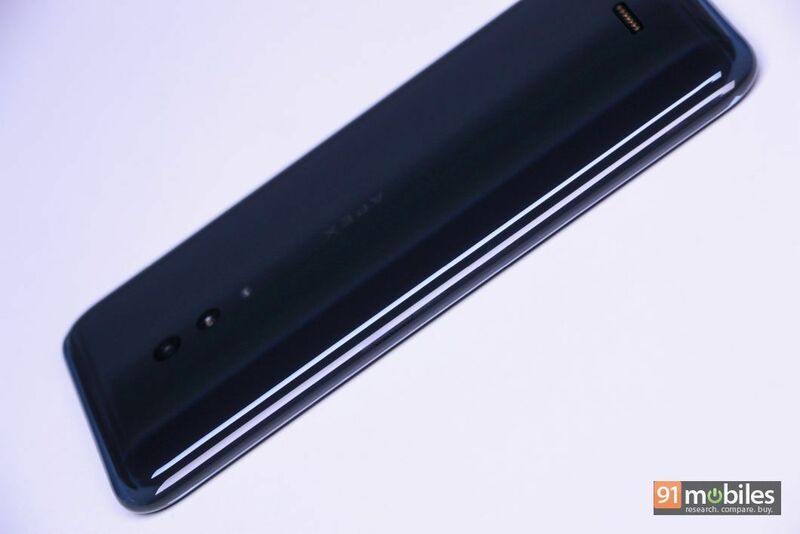 At this point, it’s worth noting that Meizu also introduced its own take on such a form factor. 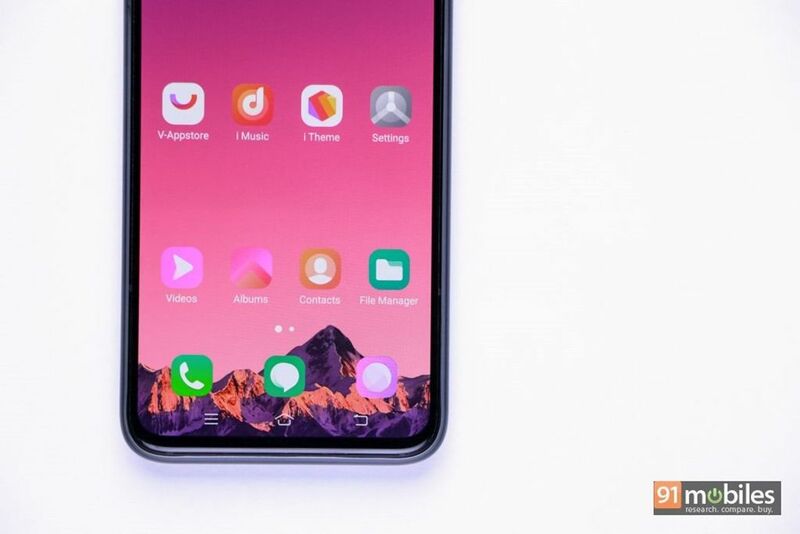 Dubbed the Meizu Zero, the handset went up on the Indiegogo crowdfunding platform, but the brand later said that the device was just a marketing gimmick. However, I wouldn’t really be surprised if Vivo actually makes the APEX 2019 a reality… in the form of the NEX 3, maybe? That doesn’t mean that the company has a winner on its hands, as it’ll still have to resolve the small niggles I mentioned, and ensure users get a friction-less experience with this button-less, port-less phone.